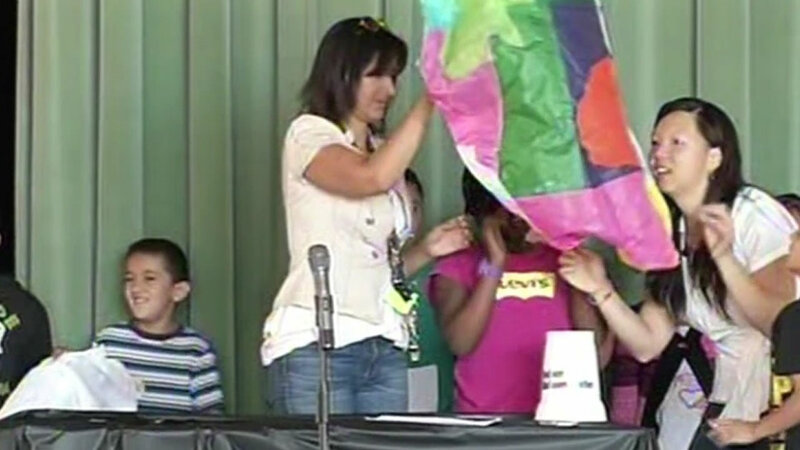 SAN JOSE (KGO) -- Third graders at Blackford Elementary in San Jose got a hands-on experience Friday making weather balloons. Over the past few weeks the kids got advice from NASA scientists. This morning, everyone got a chance to test their designs. The exercise taught the kids about science, but perhaps more importantly about teamwork. "I wanted all my teammates to be happy with the hot air balloon too, so we had a conversation to see which one we liked the most, and we chose that, and it worked out pretty good," said Ramma, a third grade student. Many of the students' parents came out to see the successful launches.